2017 ISA Hamilton EXPO Instrumentation & Process Technology Exhibition & Conference Tuesday, March 28, 2017 - 9am to 5pm FREE ADMISSION Trade Show, Seminars, and Exhibits Royal Botanical Gardens (RBG) RBG Centre – Main Exhibit Hall 680 Plains Road West Burlington, Ontario Free parking. Includes free lunch for all attendees. Door prizes based on random draws. 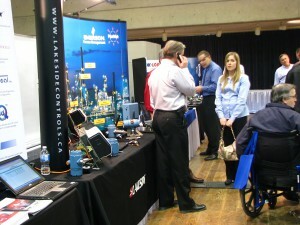 See our Expo page for more information, including vendor/exhibitor information.